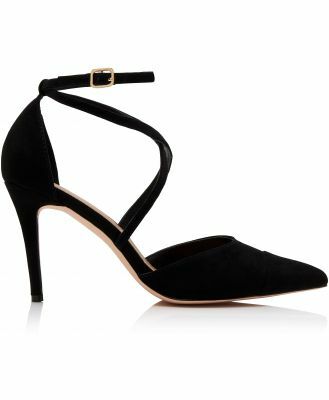 Heels by Dune, Croc-effect finish, Pointed toe, Slingback strap, No slipping off your feet, Adjustable length, Kitten heel, Wide fit, Same length, just wider. Defining their customer through attitude rather than age, Dune's in-house design team look to fashion capitals for originality and detail. Luxe finishes meet sculptural shapes across a range of heeled shoes, embellished ballet pumps and dawn-to-dark bags.